Book page. Photo courtesy of Esteban de Backer. This interview is the first in a series of interviews conducted by Esteban de Backer to question the status quo of efficiency in architecture. This text was translated from Spanish by Rachel Grace Newman. 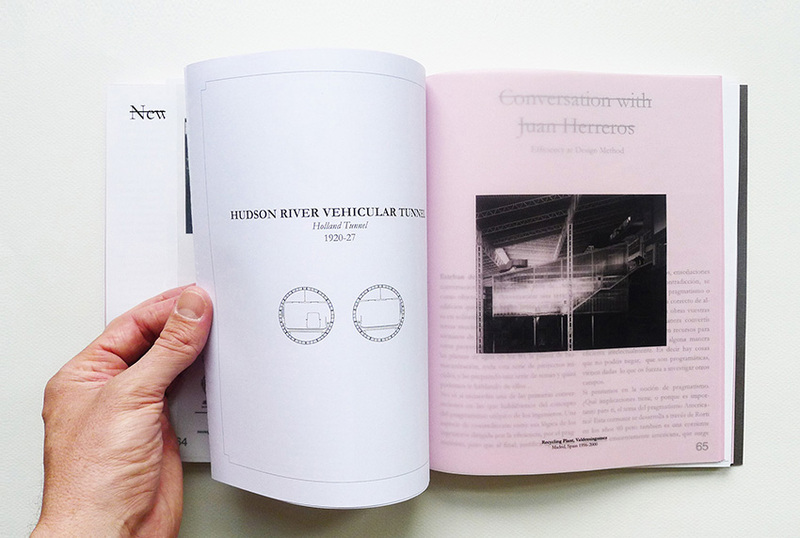 Juan Herreros is chair professor at ETSAM Madrid and director of the Advanced Studios in GSAPP Columbia University–New York. Established in Madrid, he operates as www.estudioherreros.com. He has taught at the most prestigious schools in Europe and America and published numerous books and articles, through which he has proposed and developed a series of concepts such as “Typological Corrections,” “Emerging Practices,” “Infrastructural Geography,” “Dialogue Architecture,” etc. His work has been awarded, published and exhibited nationally and internationally. His studio is currently developing projects in Spain, Norway, Colombia, Uruguay, Argentina, France and Morocco. ESTEBAN DE BACKER: Architects’ and engineers’ concepts of utopian pragmatism are often determined by logics of efficient decision-making as well as spatial invention. In this sense, utopian dreams are justified by their supposed efficiency. This brings me to the idea of pragmatism as an eminently American philosophical current, which emerged at the end of the nineteenth century and was revived in the 1980s by figures like Richard Rorty,1 one of your influences. JUAN HERREROS: When I met Iñaki Ábalos in the mid-1980s, we were both teaching Construction Systems at the ETSAM of the Polytechnic University of Madrid, and each of us had experienced a very different life path up until that point. My education had been very Anglo-Saxon and influenced by a number of people I worked with. I shared their interest in what we could call a uniquely “British” type of architect—one that comfortably inhabits a space between design and the technical, between architecture and engineering. I had also always been interested in the impact of European engineers like Robert Le Ricolais and Konrad Wachsmann in the United States. I was particularly intrigued by the way they collaborated with architects creating what we could call “architectural fantasies,” using the pragmatism of their discipline in an imaginative way. It is not surprising that these figures found the U.S. to be a suitable setting to develop a very sophisticated pragmatism. It had to do with the American identity, and was forged by building the country, technifying the nation’s territory and colonizing the Great Plains. Frederick Olmstead is perhaps the first important figure in this process. He proposed building large parks as design operations—constructing complete natural environments as great, natural, artificial machines. They are infrastructure. The spirit of this work is not so different from the spirit of work that Chicago and New York were building at the same time. I am not just talking about the skyscraper as the only great novelty of the era but also about the construction of infrastructure as a way of technifying the land itself. 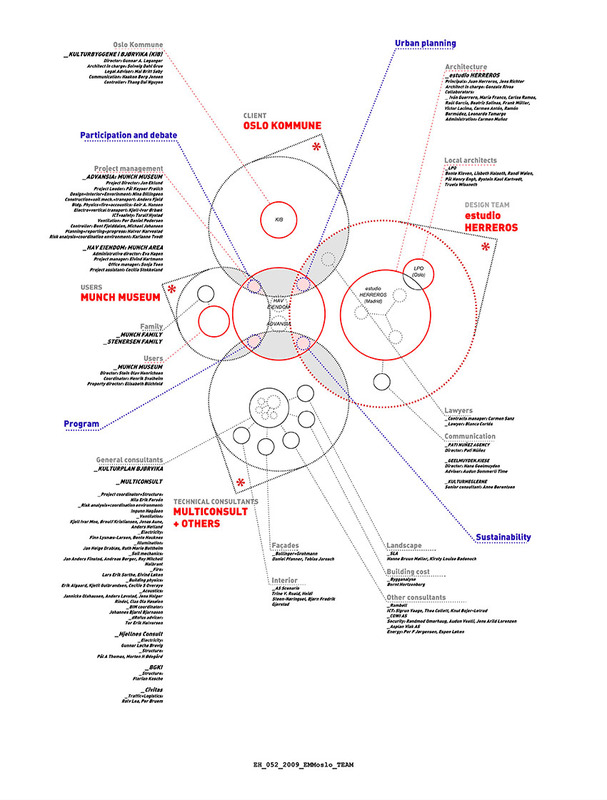 Restoring and updating classic pragmatism—something that some philosophers like Richard Rorty proposed in the late 1980s.2 —opened up a space to rethink some of the equations of architectural practice.2 The ability to transpose lexicons across disciplines has let architects work with geological, biological and digital methods, resources and references. I am also thinking of the much-needed revision of the outdated concept of teamwork from the 1970s, which was transformed by a new set of needs that were making the design process tremendously complex. Since then, new specialties, instruments and communication systems have naturalized the idea that knowledge outside of architecture is not only practically useful (with the potential to solve problems) but is also experimental, creative and imaginative (with the potential to invent problems). The major issue at hand here is the well-known practice of interdisciplinary collaboration. We still need to research the origins and history of engineers, consultants and experts—which now include economists, legislators and lawyers—who all participate in the architectural process. Another issue that the revival of pragmatist philosophy brought to the fore is the inversion of the relationship between theory and practice. Since the 1980s, we have seen the “critical practice” of architecture—as well as “applied theory”—emerge, which has added new valences to the architect’s work: namely, political, social, cultural, technical and intellectual dimensions. EdB: Following these topics, you carried out a series of infrastructural projects with Ábalos during the years of Abalos & Herreros (1985–2005), such as water treatment plants, garbage recycling plants, very radical office buildings and so on, as well as some new examples of them in your solo work after 2006. In each project, you change pragmatic restrictions into resources for creating architecture. Abalos & Herreros: Treatment Water Plant compleeted 1990 in Majadahonda, Madrid, photo: Manuel Laguillo. Interior photo of headquarters for the railroad national company (RENFE) completd 1990 in Fuencarral, Madrid, photo: Manuel Laguillo. Green roof of Garbage Recycling Plant completed 2000 in Valdemingómez, Madrid, photo: Bleda y Rosa. Pedagogical Circuit, photo: Hisao Suzuki. Abalos & Herreros: Garbage Recycling Plant completed 2003 in Pinto, photo: Jordi Bernadó. In the same way that these buildings bring to architecture the idea of infrastructure (usually associated with the networks of linear urban services) I wrote about the expansion of the concept of “infrastructural geography,”7 defined as “the science that studies how the earth works,” in an effort to explain that the architectural project is a way of thinking that affects any scale without a distinction between building and territory. I also wrote about “residential infrastructures,” 8 calling attention to the fact that if the volume of construction of housing is the most significant power of the growth of our cities, we should consider it infrastructural. Façade of headquarters for satellite company HISPASAT in Arganda del Rey, Madrid, photo: José Hevia. Headquarters for Banco Panamá in Panamá City, photo: Fernando Alda. Garoza 0.1 Prototype of Industrialized Housing in Garoza, photo: Javier Callejas. Communication Hut in Gwanjou, Korea, photo: Nathan Willok. In the last projects carried out by my office, this notion of pragmatism has a direct impact on the development of a series of “emergent practices”9 or unprecedented tasks that would have been unthinkable some time ago—and that we explore as an exercise within architectural design that is becoming more common. I am thinking about projects like the Panama Bank Tower, where we just addressed the building’s volume, the core, the structure layout and the façade, leaving the rest to the other members of the team and thus questioning the ambition of “total control.” Similarly, the transformation of the Hispasat Headquarters envelope into an environmental mechanism sought to optimize its behavior, rebranding the company and allowing architecture to perform as a communication instrument. The design and construction of an industrialized dwelling at Garoza, pre-assembled in a workshop with construction details and installed with site protocols designed by others, acknowledged that the architect does not always have to be at the top of the pyramid and needs to know when to stand in the foreground and when to step back. The design and construction of the outdoor “Communication Hut” installation in Gwanjou, Korea, via email was as the result of a conversation with our local collaborators on intentions and possibilities within a highly restrictive scenario in terms of schedule, budget and resources. EdB: Yet in your infrastructural projects, you do not entirely reject the possibility of a more pure architecture. Instead, you seek what you call sites for acting “with impunity,” where you can work with a project’s limitations. JH: “Areas of impunity”10 alludes to unregulated spaces that have not yet been subject to conventions. For us, these spaces are the perfect places to try out new forms of occupation, sociability, programming and so on. The slogan also refers to the fact that in the 1980s, architecture was prejudiced against many types of work, and the discipline tended to simply ignore them. But for us, these prejudices were effectively hiding real laboratories for experimentation. For this reason, in our first years working together, Abalos and I entered many competitions associated with engineering firms to build infrastructure—something that closely matched our interests in projects linked to tourism, malls and the repurposing of obsolete industrial spaces. These interests were not typical for architects at that time, and so just working on types of projects like these was a statement. We were reclaiming a place for architecture that the discipline had so far refused to enter. This gave us the added benefit of being pioneers, and as a result, we had impunity in our experimentation—there were no antecedents to our work. 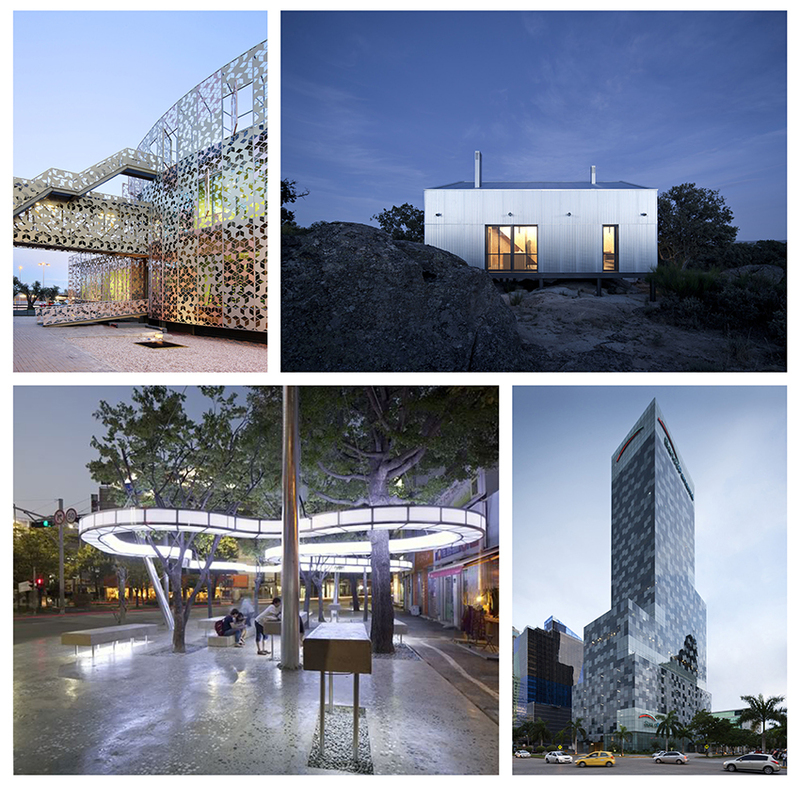 EdB: These projects offer a kind of typological invention. For example, in Valdemingómez, you explore programmatic mixing of cultural-industrial-infrastructural facilities. JH: The lack of points of reference gave us great freedom. We enjoyed a kind of credibility that we were able to translate into a program of typological inventions that we will use in our work for years. In a way, our clients were receptive to our proposals because our projects did not belong to the specialty of their technical knowledge. We were in some cases just “architectural consultants” for engineering companies who actually were the head of projects like the water treatment plants, the waste plants and many others. 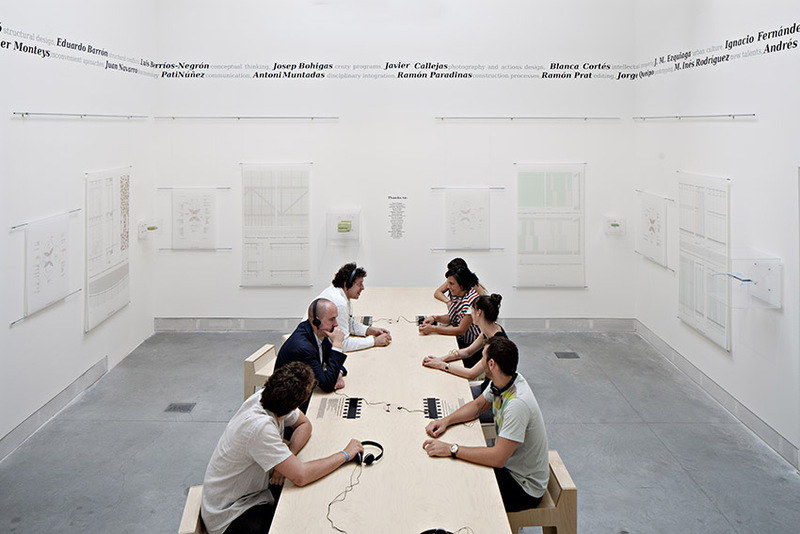 The programmatic complexity of recent projects like the Munch Museum (where a team of one hundred people worked on the development of a hybrid program in which only 40% of the surface is a proper exhibition area) or Agora-Bogotá (conceived as a complex to let people meet in groups from four to five thousand) are part of the second generation of this process of typological inventions. EdB: In your book Reciclando/Recycling Madrid,11 published in 2000, there seems to be a need to believe that we are an advanced society. There was a kind of social promise in these buildings. In contrast to the more common policy of hiding infrastructural buildings outside the city, you claimed that these buildings could become a kind of emblem for the city. JH: Our purification water plants, garbage recycling plants, river canal projects or dune protection systems were all attempts to understand how the city works, where it survives and how much territory it takes up. They are explorations about how the city can learn more about itself and negotiate artificially natural elements, whether topographical, geological or climatological. Because, undeniably, cities primarily negotiate their survival in hidden, albeit interesting places, we need to make those places visible and transform them, through this discovery, into instruments to raise awareness—something fundamental in creating environmental conscientiousness. EdB: When considering the construction of these infrastructural buildings, this almost didactic work is relevant more generally to the way that we approach the construction and reconstruction of the city. How can we apply these logics to existing structures that have become obsolete for one reason or another? JH: In the past few years, my office has taken on some projects that respond generally to this idea but are particularly focused on reusing obsolete industrial complexes. These projects, like the Antwerp railway engines workshop (transformed into a sports and events center), the paper warehouse in Bilbao (transformed into a contemporary art gallery) and the Hospital de San Carlos in Madrid (currently the Reina Sofia Museum, where we have refurbished a few floors) have convinced me that everything that is built in response to an apparently specialized operative logic but can become obsolete contains hidden within it the germ of possible future orders that can transform the structure completely. This explains the contemporary interest of what I call “typological corrections,”12 a way of calling attention to the potential for novelty in recycling buildings and fragments of the city. This stands in contrast to the approach of wiping the slate clean, annihilating history and eliminating the opportunity for invention offered by transformation. 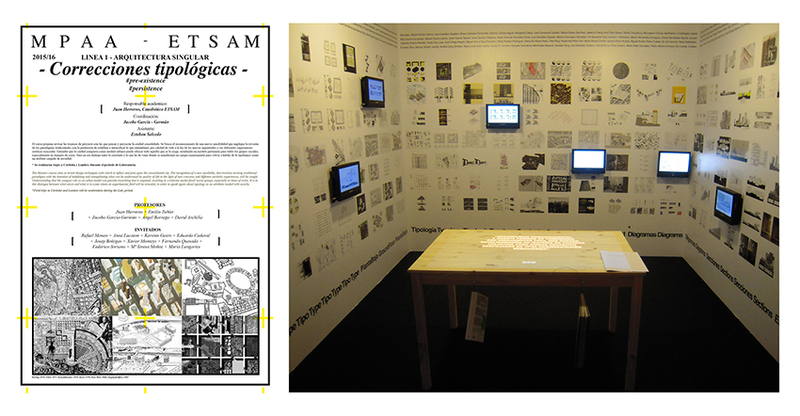 Poster of the master of Advanced Architecture at ETSAM-Madrid and room space in the exhibition Piso Piloto at the Centre de Cultura Contemporanea (Barcelona and Medellín, 2015) dedicated to the Typological Corrections developed by the studios project at GSAPP Columbia and ETSAM-Madrid directed by Juan Herreros. EdB: In reality, this is an efficient approach—it’s efficient on different scales. It is much more efficient to reuse sturdy buildings than to tear them down and build again. JH: Absolutely. And this is true also because of the experimental capacity that this kind of operation grants us in terms of dimension, scales, materials and systems. Surely there is something anachronistic about some of these buildings when we try to recycle them and change their use from what they were designed for, but they force us to exercise imagination if we want to transform them into something responding to a new operative principle. In my studio and in my teaching groups in Madrid and at the Columbia University GSAPP, we have done a lot of work in that area. I am interested in bringing those great organisms back into people’s lives and into the life of the city. The idea is to achieve a kind of accumulation of processes, with projects as hybrid, complex and ambitious as possible, so that the city can incorporate them and even renew itself through them. EdB: In your design for the conference and exhibition center ÀgoraBogotá, design logics emerge from the idea of efficiency in relation to the mechanical, construction and programmatic aspects of the building. Can you expand on the notion of efficiency and technical solutions—something normally beyond the architect’s scope of work—in relation to design? That idea—that if you can afford it, you can have it—reveals an egregious lack of solidarity in moral terms, in terms of worldwide civic awareness. It is essential that the people or countries that can afford to do so dedicate themselves to reducing need, because we are also creating models that others will imitate. When developing countries started to build Western-style downtowns in their large cities, the model of the downtown itself was already in crisis, but the model was not corrected or revised when it was exported to the rest of the world. Instead, we sold the worst version of our worn-out cities with the consequences of displacement, loss of identity, unhealthy pollution and undesirable changes to urban culture. There seemed to be no interest in valorizing the available experience and technological development that had allowed us to “typologically correct” the model. It is extremely exciting and intellectually advanced to conceive of efficiency as an instrument to simplify the world, even as it intensifies the emotions we feel as a result of living in this world. In truth, everything else seems unnecessary to me. Perhaps for this reason, the largest projects that we have developed recently attempt to create architecture that is indeterminate enough, in terms of the program and variability of conditions of comfort, to respond to unforeseeable changes. EdB: In a sense, it seems that this approach is a response to the contemporary condition of great unpredictability. What is your office’s experience of today’s instability? JH: I am fascinated by the projects we are working on in our studio right now. On the one hand, we are finishing the design process of the Munch Museum in Norway, which has an ample budget that we can use to meet ambitious environmental goals. On the other hand is the Bogotá Convention Center developed in tandem with Daniel Bermúdez is already under construction. In this case, economic limitations force us to grapple with balancing environmental responsibility and construction systems. There is a pressing need to reduce mechanisms to the minimum, and to totally eliminate air-conditioning equipment. Balancing these objectives, the Bogotá project is absolutely no less efficient than what we could do with nearly unlimited resources in Oslo, and, in fact, is more efficient in terms of the results yielded by the investment. ÁgoraBogotá. Sketch by Daniel Bermúdez to explore the integration of space, structure, installations and construction systems. 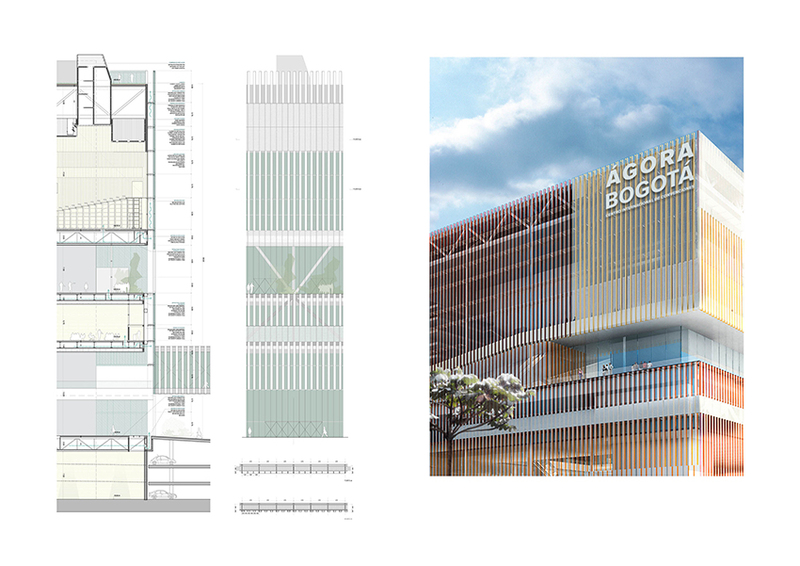 For the Bogotá project, every element responds to three objectives: The first is spatial, the second is environmental and the third is economic. Thus, when the program demands a large structural span, we can materialize it in a more economical way by increasing the structural depth—contrary to the twentieth-century approach, which strived to reduce this feature as much as possible. This triggers the equation that establishes that if we wish to implement a cross-ventilation system without any mechanical devices, a large mass of air needs to be moved through the slabs at a very low speed. The intersection between an economical structural system featuring a significant structural depth and a large mass of air to be moved derives a strangely proportioned section that may announce a new generation of buildings, a new aesthetic paradigm, a new sensibility that questions the past century’s ideals on precision and accuracy. All this demands an equilibrium that requires us to activate different making decision-making and design processes. In the environmentally sensible world, installations and structure have architectural consequences that are far from hidden or invisible. Munch Museum, Oslo. 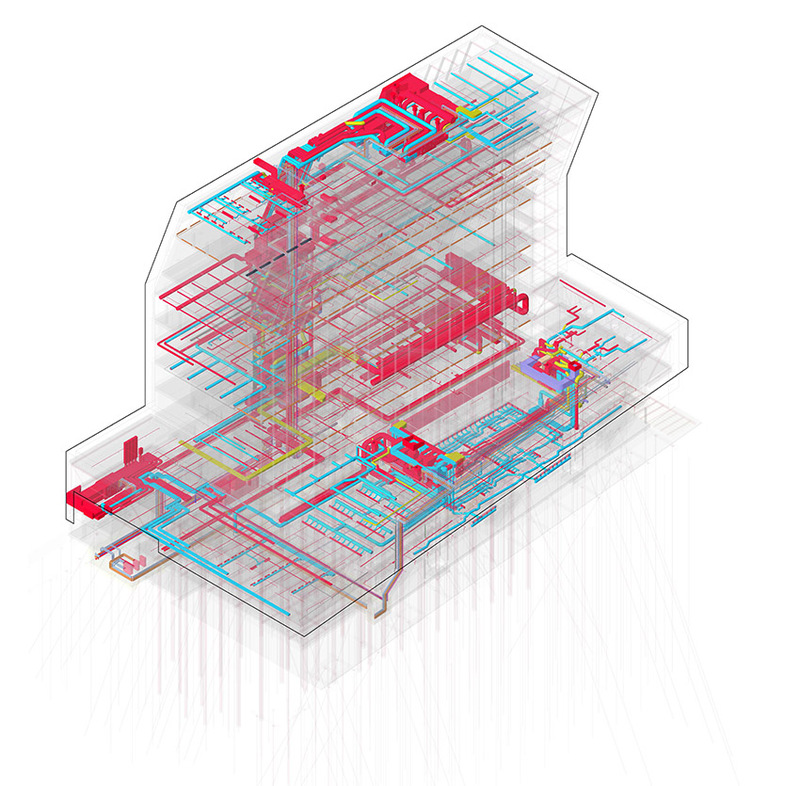 Revit diagram to check the interaction between decentralized heating and ventilation systems and the spatial and programmatic configuration of the building. Image courtesy of Estudio Herrers. Along with Jens Richter, we are determined to face this situation not so much as a negotiation of losses but as a question of rebalancing, and we have to know what is expensive and what is not at any given moment. For example, labor is expensive, and as a consequence, we could say that construction details are more expensive than the use of high-quality materials that can be installed without a labor-intensive process. We are asking ourselves a big question: “Are we capable of designing at a high conceptual, aesthetic and construction level while simplifying our details?” If we can answer that question affirmatively, we’ll be capable of establishing new yardsticks for measuring quality and developing a global practice that is more sensitive to local conditions. EdB: Like in Oslo and Colombia, it is interesting that the most advanced approaches emerge where economic resources are more limited. In a recent conversation, Mahadev Raman, mechanical engineer at ARUP, told me that the interesting thing about working with architects is precisely the opportunity to maximize the reduction of mechanical needs. That is an efficient objective. Herreros Arquitectos: Dialogue Architecture. Installation in the Venice Biennale 2012, photo: Javier Callejas. JH: That is very important. As I mentioned earlier, we need to recover the history of architects as authors collaborating with advisers and specialists to understand architecture in the second half of the twentieth century, and what is happening now in the twenty-first century. The growing complexity of the design processes and the architect’s own awareness of other forms of knowledge has meant bringing consultants into the conversation and process increasingly early. Instead of calling upon the consultant to solve problems created by an already established project, we ask that they sit down at the table with us from day one to participate in establishing the project’s arguments and concepts. It is no longer exclusively the architect defining these elements. Rather, good engineers, like good lawyers, programmers, and so on, can provide economical, aesthetic, political and social alignments. This was the subject of our installation at the Venice Biennale 2012 under the slogan “Dialogue Architecture,”13 where we tried to transmit the complexity of the contemporary design process that brings together around one hundred people of many different specialties for projects like the Munch Museum or ÁgoraBogotá. Munch Museum team. One hundred people involved. Image courtesy of Herreros Arquitectos: Dialogue Architecture. EdB: Rem Koolhaas talks about the recent emergence of a kind of quantitative urgency. Engineers quantify problems in ways architects have never done. Perhaps, in an architect’s collaboration with these other disciplines, it would be interesting to look qualitatively at the quantitative values of a project. JH: Architectural projects are works of synthesis bringing together as many variables as we are able to activate. The starting materials tend to be diluted in the final product—which is comprised of infinite formal, material, spatial, technological and argument options—in order to reach an equilibrium that blurs the individual efficiency of each part. Architectural projects manage an overwhelming quantity of information that must be ordered, interpreted, selected, manipulated and synthesized. There is also an additional worry that choices made along the way may not make sense at an intermediate phase but will become valuable in the final synthesis. In a way, this process is what constitutes the contemporary project and is what distinguishes one architect from another. Every architect could work with the same consultant, and use the same information and references. But the process of selection and manipulation is what establishes difference. 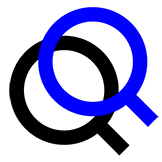 The same project is conceived very differently from an engineering perspective, as a system of equations with given, perfectly defined variables that must function both independently and together. This difference, far from being uncomfortable, offers great possibilities for collaboration and points of encounter between these two disciplines. EdB: How do you see the contemporary relationship between architecture and engineering in terms of efficiency? JH: Architecture is going through an interesting moment. After facing so many accusations that it was descending into spectacle and wastefulness, it seems that architecture finally has something of value to contradict these criticisms about lack of efficiency and pragmatism. That value, or new prestige, is precisely its ability to synthesize information—transforming all of the starting data into a usable, conveyable, everyday, interesting, useful and even necessary mechanism. On the other hand, engineers have been accused of working apolitically and to order, unlike more complex architects who have insisted upon their freedom to introduce critical, political and intellectual variables into a project. But this criticism is weakened when we acknowledge the emergence of concepts like the “Smart Bridge,” which shows that a bridge is not merely a large construction connecting two points. A bridge can also transmit information. It can conserve and even produce energy. It has a great social potential. It is a structure that can be programmed much like a museum or an auditorium. A bridge can certainly benefit from the participation of an architect in its design. EdB: In Bogotá, the way that you address efficiency ends up becoming a programmatic invention. Rather than define spaces with labels like “meeting room” or “concert hall,” you conceptualize the purpose of each space by describing the number of attendees and their potential interactions. Thinking about a program in quantitative terms can ultimately have a qualitative expression. Maybe we can turn problems into something quantitative and measurable through a process of invention that can reformulate a problem. JH: Years ago, my students and I did some very simple research that led us to conclude that the programs of many buildings with supposedly specialized services were all exactly the same. To summarize the study, we found that with one or more large rooms, a vestibule, a few small offices, restrooms and lockers (as well as a few more things) you can host a day care center, a cultural center, a library, a sports complex and a music school—essentially any medium-sized public facility in any city. Next, we studied the nomenclature of rooms. We concluded, for example, that although what is called a “terrace” in a house is called an “observation deck” in public buildings, both spaces are essentially the same. When I gave my students mute floor plans with the functional labels (nomenclature of the rooms, furniture, accessories, etc.) erased, they had a difficult time identifying the principal program of the buildings. So perhaps program is not only a list of needs and their recommended surfaces. Comparative study of programs between headquarters for Banco Panamá and Casa Garoza, Image courtesy of Herreros Arquitectos. This way of thinking has allowed us to, for example, eliminate sloped auditoriums—the distinctive feature of convention centers—in Bogotá. Instead, we created spaces with level floors based on evidence that in times of economic crisis in Europe, convention centers used only for conferences go unused because there are not enough conferences. These buildings only become versatile when we can describe them as a set of rooms in which people can meet in a very open range of numbers and formats, as long as someone programs the space with adequate imagination and ambition. Once it offers good acoustics, projection and sound systems, control of the natural light and the possibility of dividing into smaller spaces, every room is a place for a fair, a conference, a large banquet, a performance on a stage, an athletic event, a film, a gathering of collectors, a flower market, a food festival, and on and on. Today, the concept of flexibility is totally different from what it was a few decades ago. In the 1960s and 1970s, flexibility referred to a process of transformation over time: the ability to evolve toward something preordained. This was quite distinct from the cyclical dynamism of permanent reconfiguration. Enrique Walker, Nacho González Galán and I, in conversation, reached the conclusion that architecture today produces tremendously advanced organisms that, in some cases, go beyond what their everyday purpose and resources can manage. It would be beneficial to have someone—a manager, programmer or even curator—to program and make the most of complex buildings. This would be the perfect job for young architects who must be able to orchestrate changes, small reforms or temporary installations in order to provide a natural fit for different events held in the space. Wonderful buildings, like the Sendai Mediatheque and the Yokohama Terminal, can accommodate unexpected activities and become true centers that generate a progressive urban culture. They were conceived with very ambitious operative logics. However, in very little time, the programs that gave them their origin have changed. Now, every person can use a tablet as a portable Mediatheque, putting an end to the idea that sparked Toyo Ito’s project. The public space that the Yokohama Terminal was meant to be cannot adapt to the time lapses between ships, especially in the winter. However, they are magnificent buildings, and a programmer could raise them to another level. They could be as powerful as the best landmarks—as points that condense urban life. EdB: The structural system in Bogotá allows for natural air circulation throughout the building. You explore a concept of robustness and adaptability that we could call deferred efficiency. 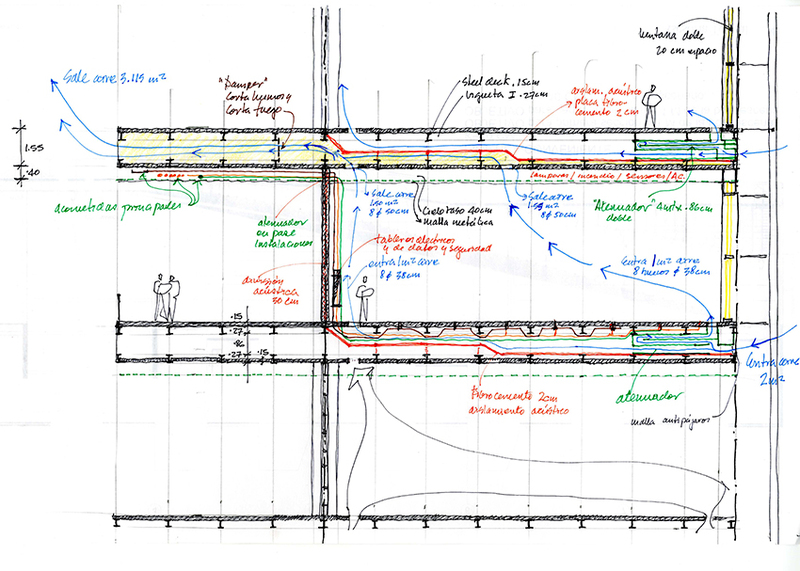 What do you think about the idea of deferred efficiency with regard to your architecture? JH: I like this idea of “deferred efficiency.” It causes a crisis for certain myths about flexibility. For example, one myth is that open spaces are more flexible. But museums show us that the opposite is also true. While large temporary exhibition halls in major museums seem to be able to accommodate any format, this comes at a price because these halls must be reconstructed each time with an enormous waste of energy, which can damage the building and its installations, not to mention require an additional budget. We are simultaneously seeing many museums displaying exhibitions in stable “rigid” rooms that—if properly equipped—can work with almost any installation. The flexible office is often given as an example. However, what made it possible to conceive of the office landscape was not the openness of the space but instead the energy isotropy of the installations distributed in the first raised floors. Now we have refined our thinking. We can see that the opposite of “flexible” is not “rigid” but “not flexible.” In fact, an apparently rigid space can be very flexible and a very open one can offer flexibility disproportionate to the effort it takes to transform the space—this brings simmplicity back on the table. The first adjoining-room projects I did with Abalos are the origin of our recent proposals for the transformation of the Reina Sofía. Open spaces in a set of rooms have accepted many different layouts, formats and exhibition concepts from many different curators over the years without changing their spatial organization. Herreros Arquitectos: Spatial Reorganization of Exhibition Spaces, 2012. Floor plan, image courtesy of Herreros Arquitectos. 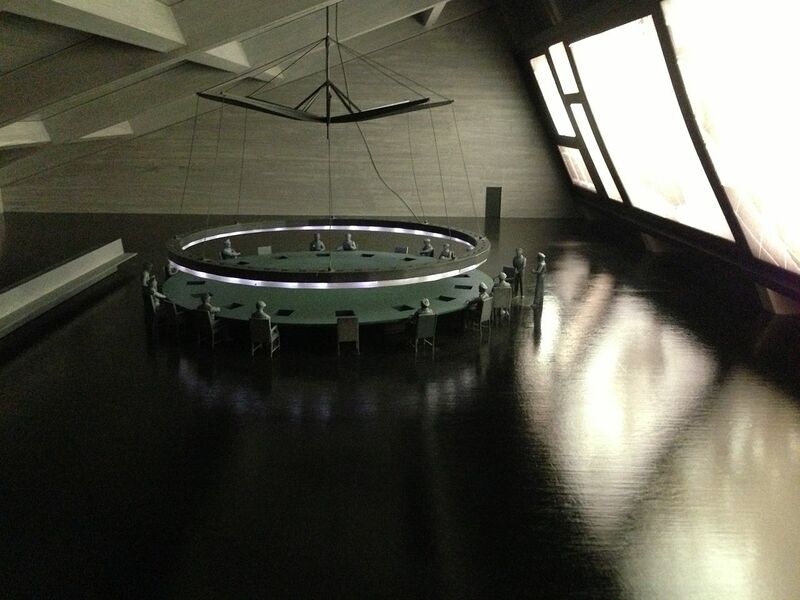 Interior, photo: Mariela Apollonio. EdB: I heard your current office space had been originally planned as an apartment building. By adapting the program, maybe something more interesting can emerge than if the space had been designed as an office from the beginning. JH: Our current studio in Madrid was designed in the ’50s as an apartment tower that has never been used for living. It was designed by Secundino Zuazo, who studied the city’s residential typologies and built some of the best alternatives to closed blocks. The project included an identical tower that is indeed used for apartments—that is actually where I live in a space with practically the same distribution as my office. Perhaps this indifference between the domestic and office space is a fate that was forged gradually. In fact, in the first years of Ábalos & Herreros, we proposed public housing along the M30 highway whose design and construction was influenced by offices, with, for example, a continuous flooring installed over the entire floor of the building and plasterboard partitions above to make any transformation with ease. Abalos & Herreros: interior of the four residential/office towers in Salburúa, Vitoria, photo: José Hevia. Years after, in the four residential and office towers in the Salburúa Project in Vitoria, we proposed that the first seven floors be office space and the rest apartments. The reason was that above the eighth floor, from every corner of the building (there are four apartments on each floor) you could see the medieval center of Vitoria and the Salburúa wetlands. But the differences between the offices and apartments were not visible from the exterior. We slightly altered the dimensions of the façade, like the size of the windows and the height of the windowsills, so that the apartments had some office-like aspects, and the offices had a certain domestic feeling. EdB: I am also interested in the way your office deals with the relationship between technology and environment. JH: To tell you the truth, I have not really had the landscape fever that has raged in the past few years. What truly interests me is the idea of simultaneously technifying nature and naturalizing architecture, and more specifically, what can we bring to architecture from our observations of nature. Although we were pioneers in putting the green roof on Valdemingómez, I can be critical of the idea that naturalizing architecture necessarily means incorporating green elements into buildings—of course beyond its positive environmental effects supported by labels of good practices like LEED. In fact, thinking about that green roof today, I am more excited about its gentle incline, the metal frame that almost reaches the edges of the garbage dump and the way that it reflects the sunset. I am drawn more to the sensitive and reactive aspect of the most artificial materials than to the fact that they are green. EdB: This idea of “technifying nature” seems to have more to do with concepts such as organic growth, aggregation or the way nature functions—in tune with Metabolists’ ideas—than mimicking the image of nature. JH: Exactly. We can describe the city or a building like the Bogotá center as “natural” because it is comprised of laws, systems, and processes in constant pursuit of an unreachable equilibrium. We do not need green “organic” components to make that happen. Estudio Herreros & Daniel Bermúdez: ÁgoraBogotá Congress Center. Lobby and section drawing courtesy of eH&DB. EdB: As a last point, I wanted to talk about the relationship between aesthetics and efficiency, both within and apart from the 1970s and 1980s high-tech movement. How do you see the relationship between the two? JH: In my years as a student, my education had a very strong technical foundation. Some professors, like Sáenz de Oíza and Alejandro de la Sota, were known for their ability to mix conceptual or subjective topics with “technical emotions.” At the beginning of my career, I worked in studios that were “high-brow” but also very professional—a combination that was not unusual in Spain at the time. Then, I became a construction professor a few years before I moved to the design department to teach studio. I can say that for me, “the technical” is my architectural culture. However, I have never felt strong emotion toward technological displays, and very especially toward the wastefulness of the high-tech movement. Maybe, in that sense, I have been more like an engineer in rejecting this wasteful application of the technical. This has led me to approach efficiency as an intellectual, paying attention to construction from a conceptual point of view, exploring the attributes of energy or rigorously choosing structural types for my projects without any illusions and without fetishizing construction details. When my students pin up these kinds of details, I ask what the most important idea in their project is, and whether we can identify that idea in the specificity of the 1:5 detail. The complexity of our times seems to call for an immediate use of technical resources—or a catalog that lets us transpose its components directly to a project. For this reason, even though in certain moments I have argued for thinness, glass-on-glass detail, aligned gussets, minimal carpentry and the thinnest slab in a very exciting crusade for simplification, I have always avoided the tyranny of essentialism in favor of a creative, inexpensive use of construction elements. Today, with half of the Western world in economic crisis and half of the planet lacking access to architecture, we have to realize that construction, economic and energy criteria evolve. It is important to understand when it is appropriate to use more unusual materials, more mixed and imperfect construction systems, which do not attempt to be more durable than is really necessary. EdB: This way of thinking about the relationship between the “calculability of the technical” and its “emotional” dimensions might lead to a reappraisal of our aesthetic prejudices, or at least to the incorporation of different complexities when evaluating the aesthetics of a work of architecture. Estudio Herreros & Daniel Bermúdez: ÁgoraBogotá Congress Center. Construction systems of the façade, image courtesy of eH&DB. JH: This might help us calmly accept that woodwork can be thicker but actually more efficient, cheaper and easier to produce, or that metalwork can be thicker and perform better. All of this leads to a growing awareness and an aesthetic that establishes new understandings, new harmonies and new negotiations with its surroundings. This also changes the idea of quality. From this point of view, 1990s minimalism, in its more expensive, heroic and sublime version, was an absurd crusade that architecture lost before even beginning—the world was already going another way. Minimalism, as a sophisticated abstraction, was irrelevant once everything was already much more grunge, once music was more hybridized and art had abandoned any pretense of purity. Yet architecture kept insisting on this unnecessary, elitist and self-destructive minimalist moment that was out of sync with the time. It failed to maintain social responsibility to reach people all over the world. In fact, in the art world, minimalism happened twenty or thirty years earlier, when it made total sense, and when it was perfectly understandable precisely as a reaction to the increase of complexity of the world and the errant use of technology.